I had a couple romaine hearts that were a little less than fresh — unsuitable for a caesar, but also a pity to toss. As with all veggie leftovers, I reached for a soup pot. Lettuce soup? Yeah, why not! 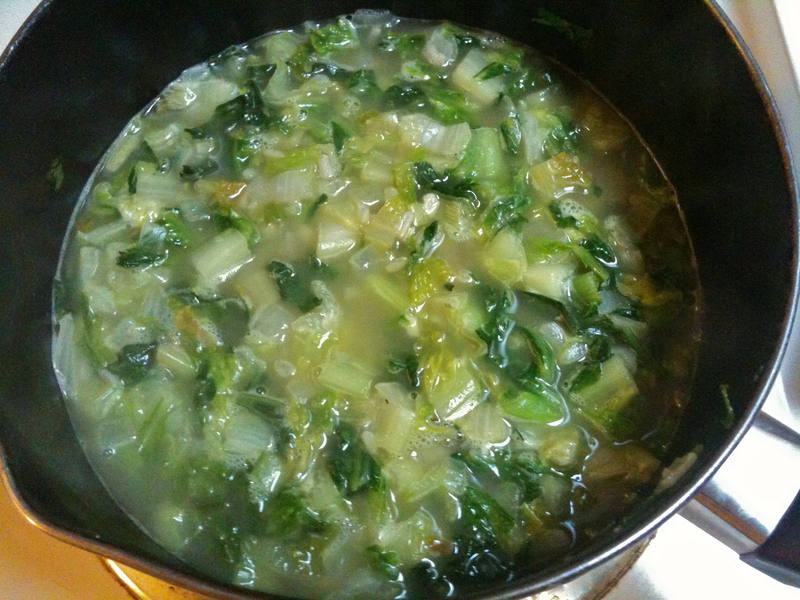 Inspired by Bittman’s French-style chilled lettuce soup recipe, I concocted this surprisingly delicious vat of sauteed, then puréed romaine. You’ll be stunned at how much flavor comes from these simple leaves seasoned only with onions, garlic, and stock — plus an old Italian secret ingredient: parmesan rind. Instead of cold, I decided to serve my soup warm using cooked rice to create an extra thick and creamy texture — almost like a cream of broccoli. A zip of lemon juice finishes things off, or you could toss in croutons or crispy bacon bits to fancy up your lettuce soup. Fancy or not, you’ll be ecstatic to discover this deliciously clever way to use up old greens. In a saucepan cook onion in butter over medium heat, stirring, until softened but not browned, about 5 minutes. Add garlic, green onions, and parmesan rind. Cook for 5 more minutes, or until garlic and onions are soft, but not browned. Stir in romaine and cook, stirring, until wilted. Stir in broth, rice, and salt and pepper to taste and simmer soup 10 minutes. Remove parmesan rind. 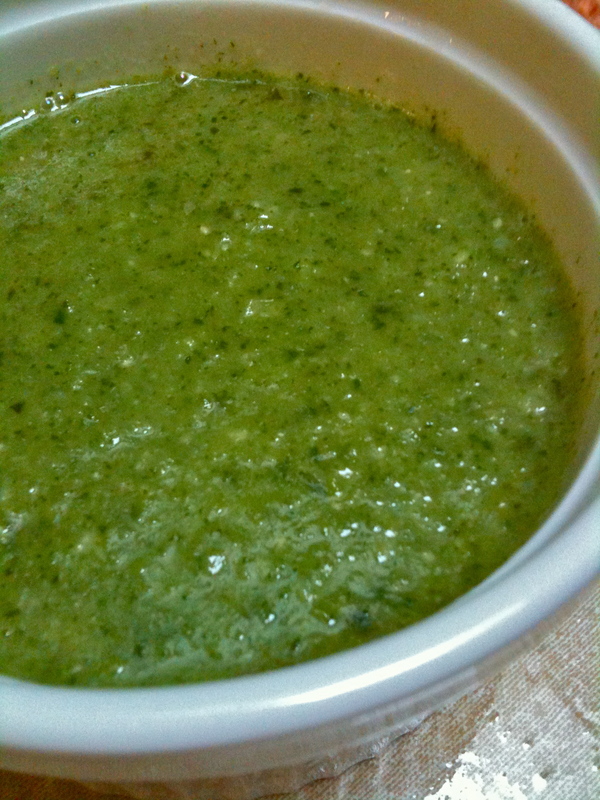 In a blender or with an immersion blender (off heat), purée soup in batches until smooth. Stir in lemon juice. Garnish with croutons or bacon bits.